These presentation slides 26430 are complete compatible with Google Slides. Simple download PPTX and open the template in Google Slides. 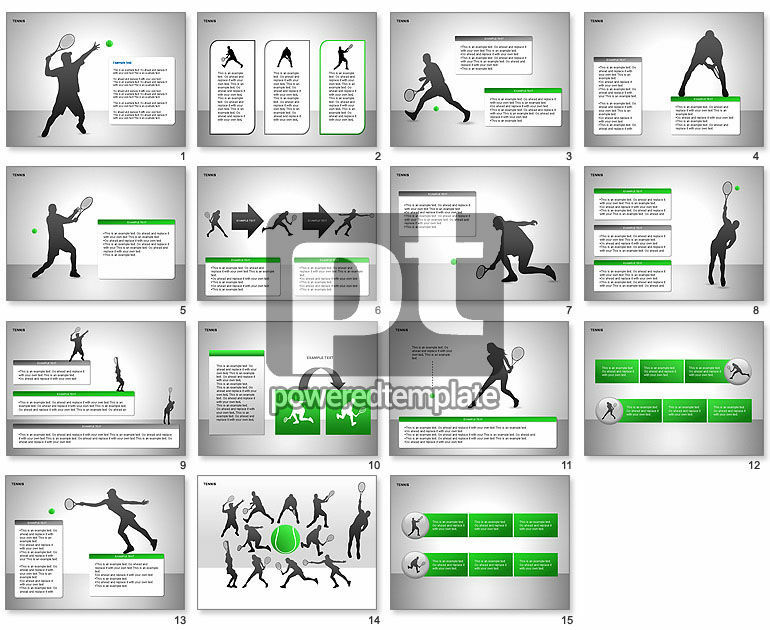 Great sport collection of diagrams can help for presentations on sports, tennis, winner strategy, tennis courts, tennis rackets, recreational sports, sport hobbies, tennis tournaments, etc.